Free high resolution photo of branches heavily laden with clusters of white crabapple blossoms. This picture shows the branches of a crabapple tree in full bloom in the spring time. 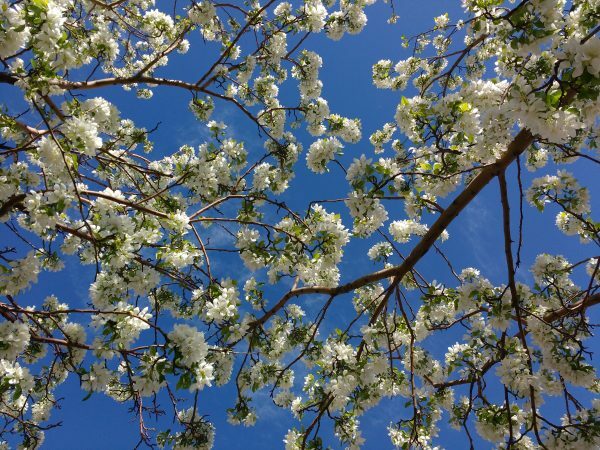 The photo was shot from below showing the branches with clusters of white flowers or blossoms and a beautiful blue sky in the background. Free image for any use.